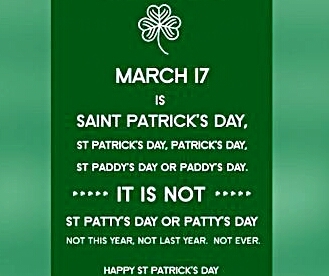 Lá Fhéile Pádraig is the Irish for St. Patrick’s Day, and it does not translate into Patty’s or Patty ever. 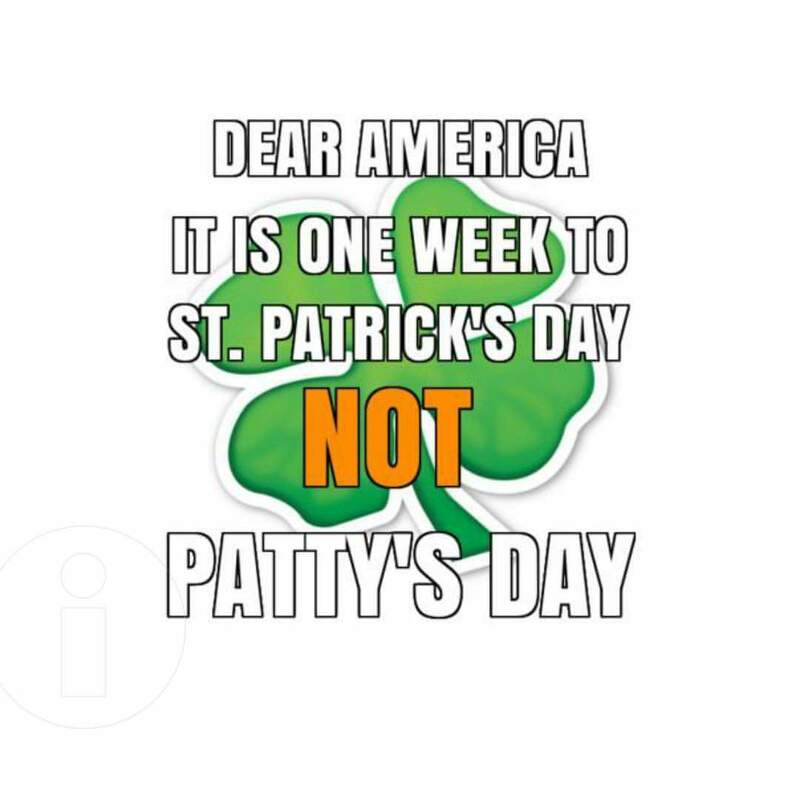 As a lot of the USA will be celebrating St Patrick’s Day this weekend including Atlanta I feel its apporiate that I point this out early so people won’t fall into the mistake of calling our national day the wrong thing. Could you imagine if people in Ireland or Europe called July 4th anything other than American Independence Day or July 4th holiday. St Patrick is Ireland’s patron saint, he was not female and called Patricia! Enjoy your weekend and have fun. I will be back on Monday with a post as the lead up to St Patrick’s Day grows. It won’t be my first St Patrick’s day in the USA as I have taken part in numerous parades from Savannah and Tybee GA, Newport RI, South Boston and Worcester MA. But this will be my first as a resident so it will have a different dynamic. I hope I got your name right. My name is Paulette-Le Pore Motzko and I am a professional writer, blogger, photographer & marketing consultant in Las Vegas, USA. I am Catholic and have never ever referred to the beautiful day we celebrate the life of St. Patrick, in any other way. I shared your story on my most popular blog called Totally Inspired Mind: Where Positive Minds Congregate. The readership on that blog is between 70 to 100 countries read it monthly now. I was searching “Ireland” on the reader and found you. Reblogged this on Notes From Steerage.